CoPuppet is a framework for the development of performances of virtual puppetry.It supports collaborative performance between multiple puppeteers. 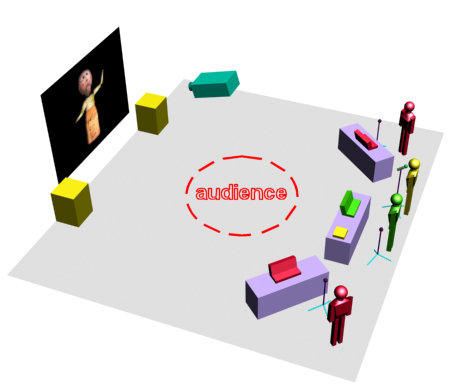 The puppeteers are placed at different locations in front of a screen on which the appearance of the virtual puppet is projected. Users login as a puppet body part or object for which controls have been defined, and produce collaborative movements of the virtual puppet. The performance can also allow for audience intervention. In particular, while retaining a single storyteller, CoPuppet can partially open several body controls to the public, to foster forms of collaboration between the performers and the audience. A completely open instantiation of the framework can also be envisaged, in which computers, microphone and webcams would be setup for users to participate in the performance space. A voice puppeteer tells a story into a microphone, to which the system responds in real time by producing mouth movements and facial expression of the virtual puppet on screen. 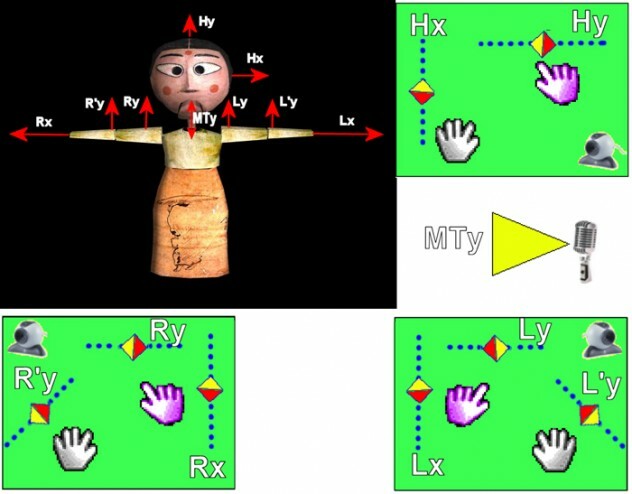 Body puppeteers use their fingers in front of a webcam, thus activating virtual sensors connected with the corresponding body part on screen. While each puppeteer can create only simple movements, the whole gesture of the puppet results from their combination, producing powerful and interesting effects. In the Japanese Bunraku puppet theatre, 3 puppeteers in black costumes work together to establish the puppet’s emotional expressions and gestures as a whole. 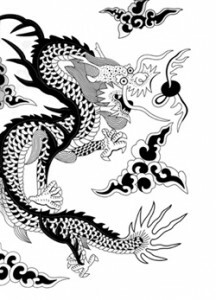 In the east, dragon is originally the combination of more than 20 parts of different animals, with Camel’s head, rabbit’s eye, cattle’s ear, snake’s body, hawk’s claw and etc. 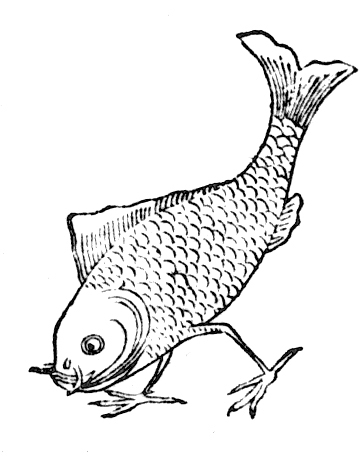 It is the representative holistic hybrid creature, which means natural flow of energy. Dragon is a symbol of transformation and metamorphosis: continuous energy flow in nature. The main intended use of CoPuppet involves a storyteller, a crew of body parts performers, and possible intervention from the audience. These users do not have to define in advance the kind of story they want to tell, but can come up at any time with ideas about the situation and the story, based on the materials in the scene. In a sense, all objects in the scene can become alive as “performing objects”. It is expected that the real time observation of the consequences of one’s own actions, as well as those of the other puppeteers, will foster interaction between puppeteers, who will engage into collaborative or competitive behavior patterns. Typical patterns might be mimicking or counteracting the actions of one another, introducing delays in replicating some movement, achieving unison through the iteration of the same movements. Interestingly, these patterns may occur directly among performers as well. We envisage that CoPuppet, through its simple and intuitive controls, can become a playground for children, while adults might find it interesting as a form of stage for free speech, as well as imaginative storytelling. Currently,CoPuppet allows interactions between puppeteers in near distance. However, it aims for remote collaborative puppet performance over the network in the future.